Collins Booksellers - I Used to Know That by Will Williams, 9781843179405. Buy this book online. Discover the physical world of rivers, glaciers and coasts; the human world of population changes and migration; agriculture, including farming, GM foods and the green revolution; and industry, from tourism to ports and old industry. 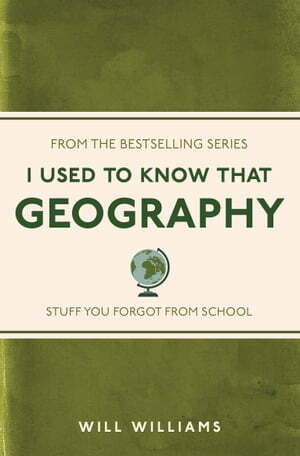 I Used To Know That: Geography is an accessible yet fun way to revisit all the stuff you have forgotten from your school days.